﻿ Real Madrid 6-3 Girona. 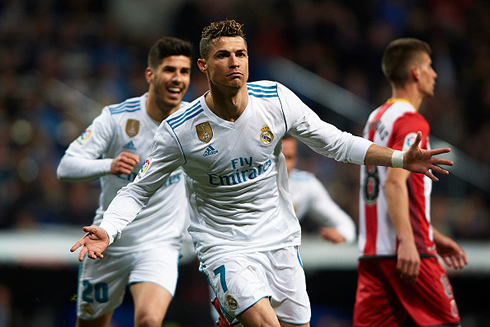 Ronaldo POKERizes Girona! 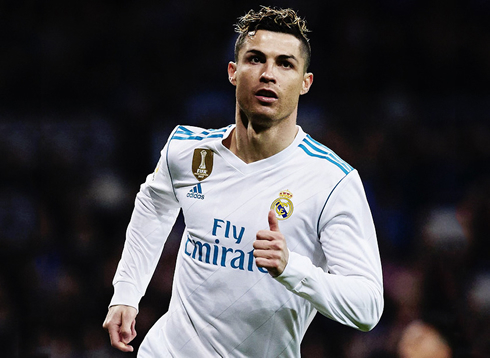 18.03.2018 » Real Madrid 6-3 Girona. Ronaldo POKERizes Girona! There are no more words to describe Cristiano Ronaldo. The Portuguese star scored his first poker of the season and helped Real Madrid beating Girona 6-3 tonight at the Bernabéu. The Merengues are still 3rd in La Liga, 4 points behind Atletico Madrid. Admittedly, it was never as comfortable as it could have been at times and even down to the final minute there was a sense that Girona would score yet again. 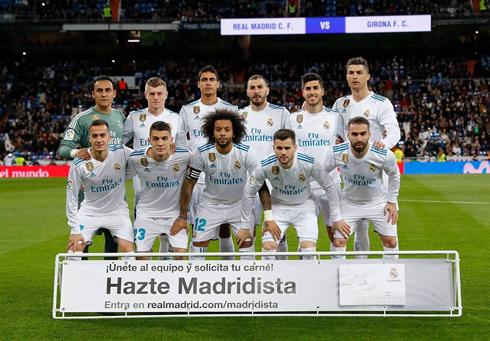 Nevertheless, Madrid prevailed today against the Catalan rivals, as they defeated Girona 6-3. It did feel though that the game could have ended 10-7 based on the attacking play on display (and the lack of defensive play). The night, however, was all about Cristiano Ronaldo, a poker, and an assist to lead the team back into third place today. He's now scored 18 goals since the turn of the year, giving him 22 for the season, only 3 behind Lionel Messi despite missing 5 matches earlier in the season. Ronaldo's form since the turn of the year has been incomprehensible, Zidane seems to have been right when he preached patience at the beginning of the season, things still aren't perfect but this team is dynamic in front of goal again. Isco and Bale were again on the bench as the in-form duo of Lucas Vasquez and Mateo Kovacic started instead. This lineup has lead to faster and more vertical play for Madrid and it's shown on the scoresheet. 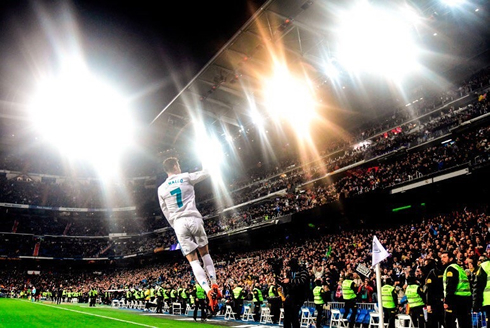 A one time finish in the box with his left foot, another left-footer off the crossbar and into the back of the net, a close-range finish off a rebound and another clinical finish in the box... Cristiano Ronaldo is mesmerizing. He also picked up a great assist as he laid the ball off for Vasquez to finish off his goal on the night. Our defense still needs a ton of work, there needs to be more consistency at the back and three goals from three headers is pretty poor from a team that's usually so dominant in the air. Ramos wasn't there of course, but it still needs to be addressed ahead of the upcoming Champions League clash with Juventus. But the night belongs to Ronaldo. Never, never, never count this man out. He had four goals on the 1st of January in the league and now he sits at 21 on the season. With 37 goals in 35 games, Ronaldo now leads Europe in goals scored this season.